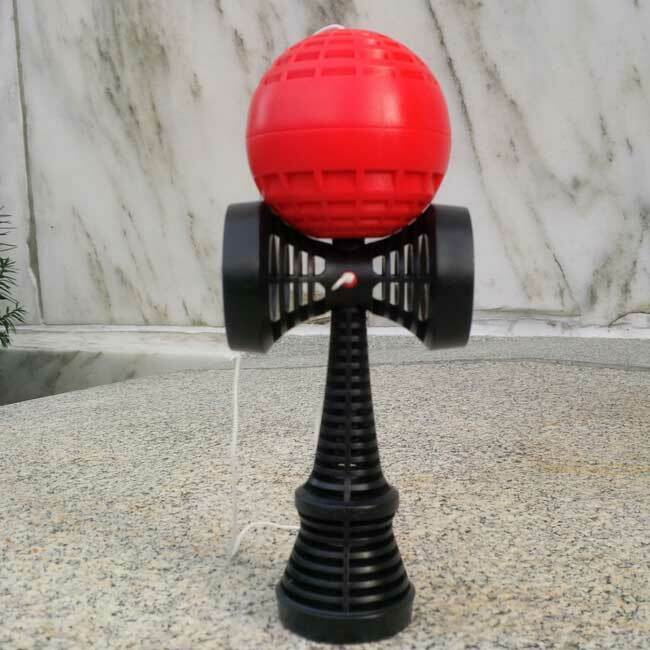 The Air is an all plastic Kendama by Arizona-based manufacturer Catchy (who happen to share the same parent company as YoyoFactory). The Ken and Tama designs are full of "air holes", giving the Air it's unique look and feel. This black and red model was included in the 2014 YoYoExpert/YoyoFactory Mystery Boxes.